has an interesting analysis of the New Republic’s recent editorials on the political economy of climate change. The short version is that the disconnect between climate change rhetoric and reality has undermined policy proposals to limit the impact of dramatic climate events. This is not to suggest that anthropogenic (human-driven) climate change is not occurring. It is, but its impact is difficult to assess and probably less-dramatic and immediate than climate change scientists have warned. To make matters worse, the impact of efforts to address climate change—by, for example, increasing the cost of polluting activities through taxes or regulation—are felt immediately. The consequence is that it becomes relatively easy to mobilize individuals to oppose legislation addressing climate change but it much more difficult to mobilize them to support it. What we’ve done to date is to treat carbon emissions—one of the primary drivers of climate change—as a negative externality [glossary] and to attempt to establish policies which force firms and consumers to internalize those externalities. Cap-and-trade does this by creating a market in carbon emissions and requiring firms to purchase the right to emit carbon. Not surprisingly, most firms, especially those which already emit high levels of carbon, oppose such a policy. As The Economist’s Free Exchange blog notes, the introduction of a cap-and-trade system in the United States appears dead for the foreseeable future, given strong opposition by Republicans who will likely regain control over the House of Representatives in the fall. Ultimately, the challenge of addressing climate change can best be understood as a collective action problem, in which the incentive for each rational actor (be it a state, a firm, or an individual) is to do nothing and to free ride [glossary] on the efforts of others to address the problem. This is because of the nature of efforts to address climate change. Preventing climate change is a classic example of a public good [glossary]. And because it is impossible to exclude someone who has not paid for a public good from benefitting from that same public good, the rational course of action for any individual actor is to free ride on the efforts of others. At the domestic level, public goods are often provided by the state. National defense for example, is provided by the state because of its nature as a public good. Historically, fire prevention services might also have been considered a public good. But at the global level, the anarchic nature of the international system increases the incentives for states to free ride on the efforts of others, and the provision of global public goods is consequently much more contentious. The solution is to change the way we think about the problem. According to Michael Shellengberger and Ted Nordhaus, long-term public investment in green energy provides a better alternative. Rather than increasing the cost of carbon emissions, reducing the cost of green energy is more politically palatable. There are problems with this solution to be sure. As the Free Exchange blog notes, research subsidies will likely not address the low-hanging fruit of easy, low-cost changes that have a minor (but important) impact. Further, absent changes which force the internalization of carbon price externalities, the incentives for green energy production are likely to be less dramatic than they might otherwise be. But in the political climate in which we currently operate, green energy subsidies might be the only path towards a more sustainable energy policy. 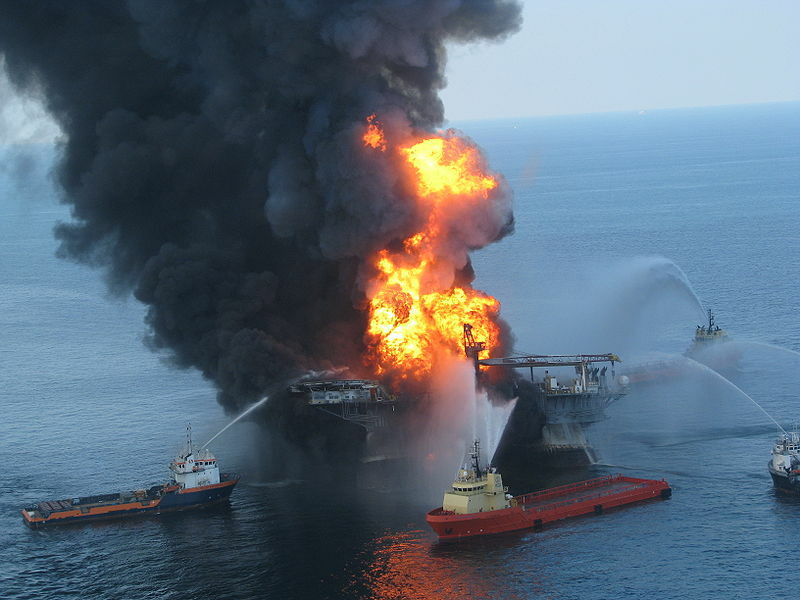 Is BP’s Oil Spill Good for the Economy? In a fascinating story in the Wall Street Journal yesterday, Luca Di Leo suggests that the BP Deepwater Horizons oil spill may wind up facilitating economic growth in the Gulf region. Citing chief U.S. economist Michael Feroli, who said that “The spill clearly implies a lot of economic hardship in some locations, but given what we know today, the magnitude of these setbacks looks dwarfed by the scale of the U.S. macroeconomy,” Di Leo argued that the U.S. economy may wind up growing as a result of the crisis. According to Di Leo, the six-month moratorium on deep water drilling may cut U.S. oil output by 3 percent and may result in the loss of approximately 3,000 jobs (numbers derived from JP Morgan’s energy analysis unit). Commercial fishing will also suffer, but it represents a relatively small portion of the U.S. economy (approximately 0.005 percent of GDP). Tourism is the wildcard, but it’s likely that many employees in the tourism sector may face cuts. All of this reminds us of a similar analysis conducted of the 1989 Exxon Valdez oil spill in Alaska, when an oil tanker ran aground, spilling some 250,000 barrels of crude oil into Prince William Sound. The Exxon Valdez was the most significant spill in U.S. history until the current BP Deepwater Horizon spill in the Gulf of Mexico. 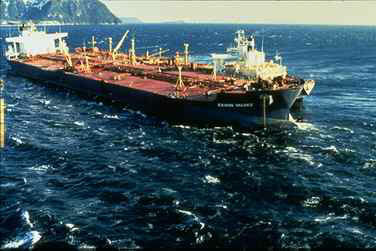 The Exxon Valdez spill had devastating economic and environmental consequences for some. Local fishers lost income, and the natural environment in Prince William Sound took decades to recover. But the net impact on gross domestic product [glossary] was likely positive, as the cleanup costs likely exceeded the economic cost of the spill itself. The economics of the crisis reflect the challenge of externalities, costs associated with the production or consumption of a good, but which are not factored into the price of that good. Gross domestic product counts all economic activity as positive. Cleaning the oil spill is additive. There is no negative cost withdrawn from GDP. Car accidents, hurricane or earthquake damage, and expensive medical treatments for preventable diseases or conditions similarly add to the GDP rather than detract from it. In simple economic terms, if we wanted economic growth, more car accidents, oil spills, or earthquakes would be good for the economy! This is clearly a counterintuitive position, as few rational people would suggest that what we really need are more oil spills. To develop a more accurate measure of economic activity, some have argued for a rethinking of gross domestic product as a measure of progress. Already, France has moved away from using GDP alone. Some economists argue that we should use something like the genuine progress indicator, which would only include goods and services which improve the public welfare. Such a system would certainly help us think more rationally about the real costs of environmental crises like Deepwater Horizons.